Old man winter is coming, but that doesn’t we have to retire from the dance floor until the snow thaws. 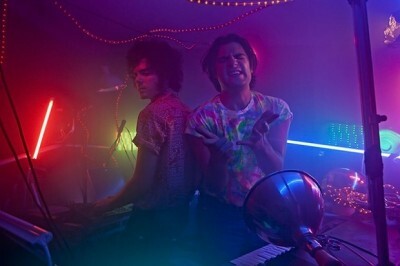 Fortunately, French Horn Rebellion and Savoir Adore feel the same way, releasing “The Fire,” a mid-tempo cut that will keep clubs hot during the cold months. Blending French Horn Rebellion buoyant, beat-driven electro stylings with Savoir Adore’s ethereal, the track is both the meeting of some of the NYC dance scene’s most progressive musical minds, and of a husband and wife via David of FHR and Deidre of Savoir Adore. The collaboration doesn’t stop there though. The two groups kicked off a fall tour last Saturday, and will play Washington D.C. tonight, along with Boston, Brooklyn, Dallas and Los Angeles in the coming weeks. Listen to “The Fire” here, and view the full list of dates below.